SOAP BOX is a show designed BY women, FOR women, and ABOUT women. 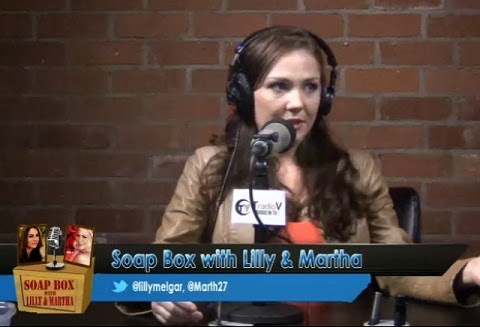 Hosts Lilly Melgar and Martha Madison have portrayed dynamic women on Daytime TV and will be on their “SOAP BOX” every Thursday at 2pm with guests, topics, and opinions. Today's interview is with Jade Harlow! View Lilly and Martha's interview with Jade Harlow HERE.